Leaflet holders are a fantastic way of helping to keep your business organised. While maximising visibility of your Brochures and encourage your customers to take up the information you are providing. Having worked in the display and printing industry for many years. 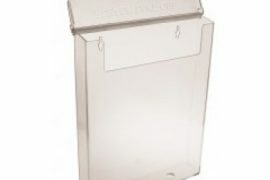 Our team at GJ Plastics Ltd have put together a vast range of leaflet holder systems for you to choose. Literally hundreds of combinations to display your literature or brochures in a very stylish and professional manner. The quality dispensers manufactured using only the highest quality materials. They are not only very cost efficient but look stunning in any environment you wish to use them in. GJ Plastics Ltd work hard to achieve the best possible dispenser system for your literature branding and image. Brochures and leaflets provide you with a range of options; you can target both your regular, and potential customers. 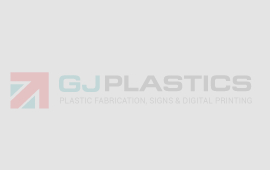 GJ Plastics believe you should never settle for second best. Hence we only offer the best quality leaflet holders in the UK. Once you have purchased your top quality leaflet and brochure dispensers, you may find an whole new world of promotion possibilities for your business and brand is opened up for you. The brochure holders can be in a variety of formats. Providing you ample opportunities to display A4, A5 and tri-fold sizes or a combination of all three if your branding requires this. Why use Leaflets or Brochures? Whether you need to inform, promote, market or advertise leaflets and brochures are ideal. Mounting a leaflet holder display system on a wall can save you that valuable floor space for alternative promotions or visitors by remaining unobstructed. We offer a vast range of Wall Mounted Leaflet holders in A4, A5 and Trifold for you to choose we even have leaflet systems that have a combination of brochure holders. Our counter Leaflet dispensers offered in all three sizes plus we also offer multi pocket desktop holders for all your literature or brochure requirements. 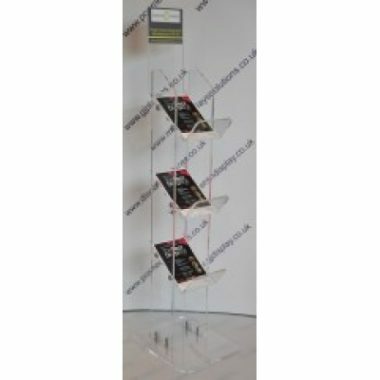 Floor standing Leaflet holder, carousel stand. GJ Plastics have a huge variety of Freestanding Leaflet Stands also known as Leaflet Carousel Stands. Purchased with a multiple choice of pocket quantities in A4, A5 and Trifold or a combination of all three. Floor standing leaflet dispensers provide high visibility. They are cost effective display systems that look attractive and perfect for the shop entrance to display your promotional brochures and pamphlets. A well-placed leaflet dispenser is a perfect way to kick start a special offer or new promotion. As they are among the most high profile and widely used literature displays available. If you need a portable leaflet dispenser system, then the leaflet holder trolley is a great option to choose. Wheels allow it to be quickly moved it has a lightweight yet sturdy frame. The trolley system is easy to store when not in use. Available in a range of options to hold A4, A5, trifold or a combination of all three types of brochures. You may require Business Card holder or a Postcard Dispenser well we have thought of that too. We offer a portrait and landscape version of both, Just pick the one that suits you best. If you need Outdoor Brochure Holders, then we provide these in all three sizes in portrait. Used in retail, office, receptions or waiting rooms and very popular in hotels, banks, doctor or dentist surgeries, car showrooms and also many more locations. The mighty leaflet holder will certainly provide you with many years of service helping you promote your image. 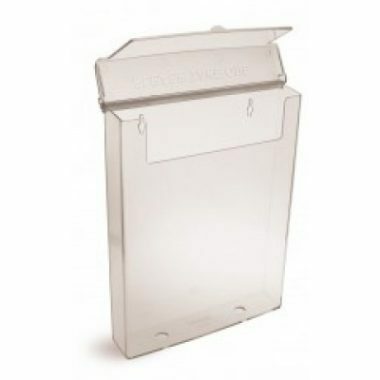 We have one of the largest ranges of leaflet holders in the UK. Remember presentation is important, simply placing a pile of loose leaflets on your counter, not only looks untidy but also makes the visual impact is very poor. 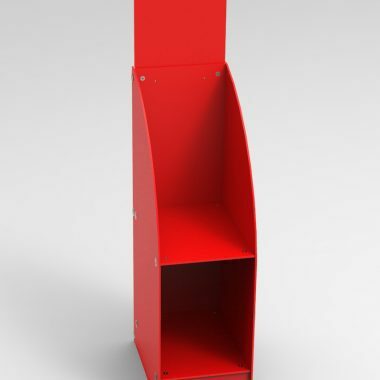 The best type of leaflet holders offer virtually full height of the literature in them beware, on dispensers that are only two thirds height, your literature will have the tendency to flop over and also look disordered. A tip to get the best out of your promotional literature is if you have wall mounted leaflet holders you should periodically change the position of the various leaflets. This also ensures their impact will not diminish and continue to draw attention to your products or services. Free standing revolving leaflet stands are great for displaying a variety of leaflets. 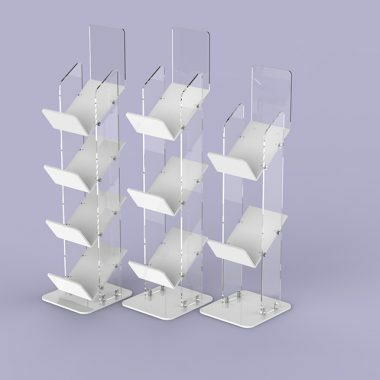 Not only can you display your leaflets in specific areas this is known has hot spotting, movement with the aid of the leaflet holder spinners is introduced into your display. A portable leaflet holder trolley also offers are a great solution if you wish to move your literature from one area to another. Leaflets can been taken from either sides and can be safely stored away when not required.